Let’s be real, we wouldn’t make a product we don’t use ourselves. We are always about finding things to do in new places, having a local adventure, or meeting new people. When do I use Shuflix? Well, it depends. It can vary from weekdays to weekends. It’s certain though, I do use it every single weekend. I love using it on the weekends because I get lost in time and space discovering new places and trying new things. When you think about it, I have a pocket adventure device. I can take it out of my pocket, shake it, and find new things to do whenever and wherever I want. However, this past weekend, I was under a strict schedule and I didn’t have time to get lost in time and space. I was in Philly but, I needed to go upstate…aaand I was starving. So, I decided to use Shuflix, find a new brunch place, have a quick eat, and speed off. One of the first shake results was the Hungry Pigeon. At Shuflix we hate judging books by their cover which is why we avoid the ranks and the ratings in our platform. But, you have to admit, the title of the place is fantastic… who wouldn’t want to learn more about the Hungry Pigeon?? Suffice it to say, my friend and I were sold by how close it was to our current location …aaand it’s awesome name. When we entered, we were greeted by one of the waitresses with a smile. The place was great. The people were kind, welcoming and genuine. The windows are tall and wide and so the decorative walls get tons of sun. 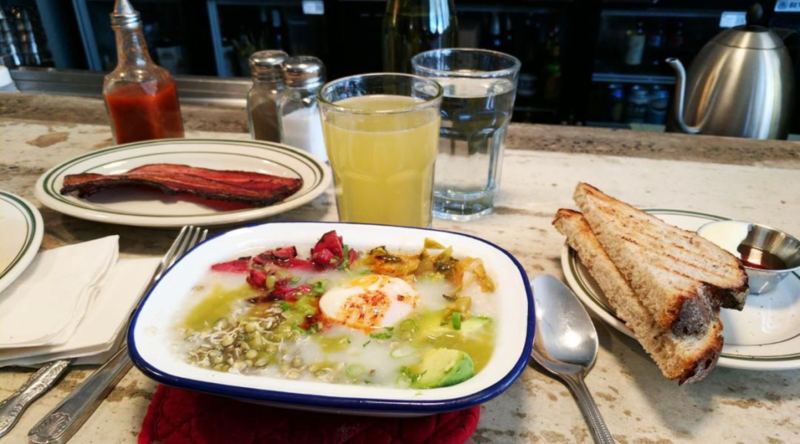 We ordered the breakfast bowl, a sandwich, a side of toast, a side of bacon, aaand their morning beer. Yes, that’s right, they have a morning beer! It’s incredibly refreshing. It’s some mix of beer and other things…I actually didn’t ask (which I regret). However, I also don’t regret not asking–the mystery of not knowing what’s inside also makes it appealing to me. Either way, this magical drink is tasty AF and everyone should try it. After we ate, we left the hungry pigeon with happy stomaches. It’s always fun to have mini local adventures no matter how short they are. In a local adventure, you get to meet new people, new places, and new experiences. So, if you are ever wondering what kinds of fun things you can do near you… Shuflix is a good place to start (shameless plug 😛 ). We sometimes ask our beta users to tell us about their experiences using Shuflix. Basically, we love hearing about any user adventure. The feedback we get has been helping us improve the up and coming update we’ve been talking about. We thought it would be cool to start posting some of the many emails/messages we’ve gotten from our beta users! I was walking to the megabus stop in NY with some time to spare. 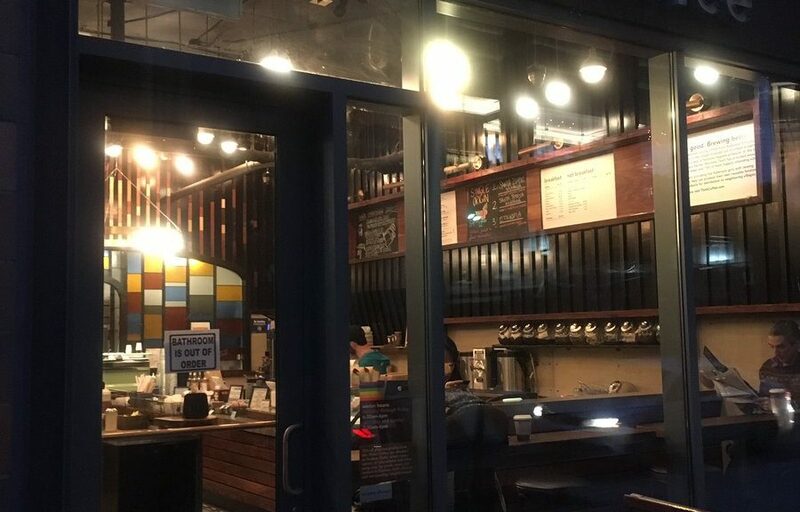 I used shuflix and found this cool coffeeshop called Think Coffee. It was perfectly situated because it was on the way to the bus stop (I attached a pic of the place). I think I’ve been to one of these in Manhattan, but I’m not sure. Anyways, I ordered this drink called the Spanish Latte. Try the Spanish latte!! It had a layer of condensed milk at the bottom that combined well with the coffee. I’m wired right now, and it feels great. Next time I’m walking to the megabus stop and I need coffee, I know a place! 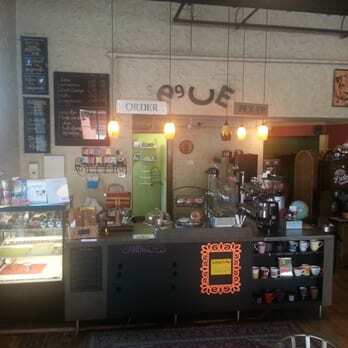 We’re always super happy when even an adventure as small as finding a coffee shop happens because of Shuflix. We LOVE feedback. The little sloth face on the app (bottom right corner) exists there so that you guys can communicate with us whenever you want. 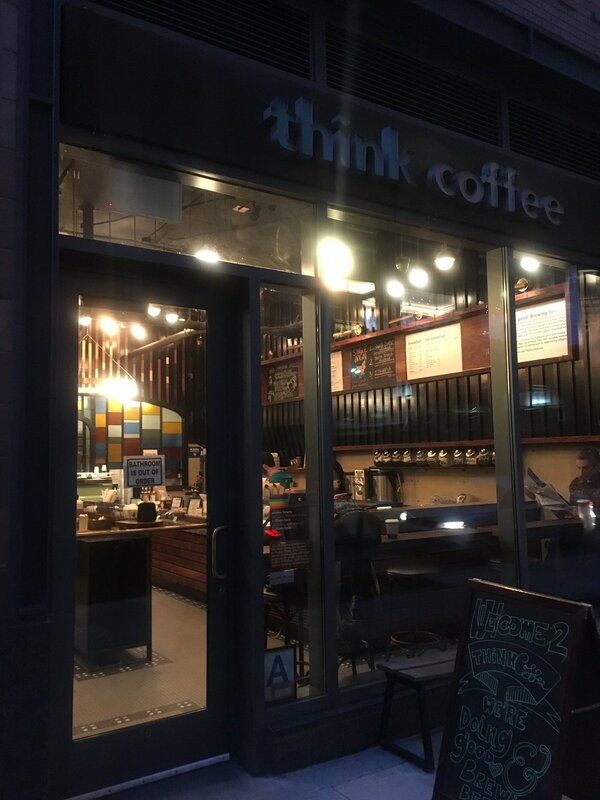 This is Think Coffee’s NYC twitter account in case you guys want to follow them! With Shuflix, we want to provide the best resource for finding things to do to anyone, anywhere. Wouldn’t it be great that no matter where you are, you could find all the cool spontaneous events and places near you? For example, if you are visiting a new place for the first time, you’d be able to experience it like a local– always having things to do for fun. To become a BETA tester or to stay up to date with us click here. You can also stay up to date with us by submitting your email to the hello bar at the top of this site. The internet is going crazy. Is this real? Is this FAKE? What do they mean? They are decodable coordinates! EVERYONE, get excited—-because everything is about to change for Daft Punk Alive 2017 (if this isn’t another community hoax). 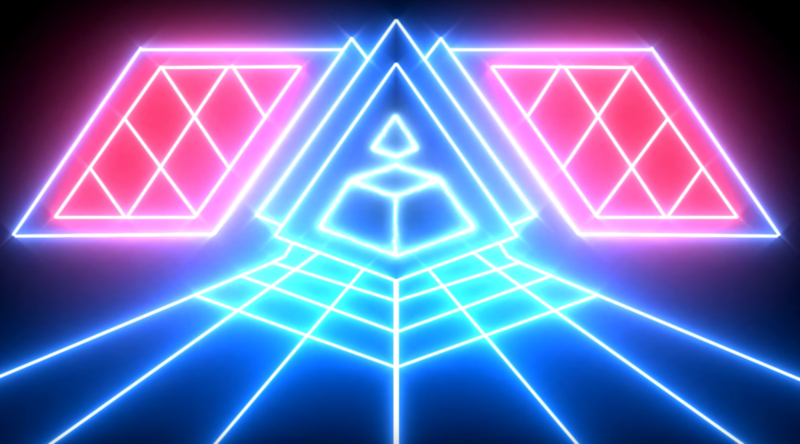 Do you know how exciting this is for the spontaneous adventurist… an opportunity to see Daft Punk live? I grew up listening to Daft Punk but I was young and was living in Costa Rica, a tiny country, occasionally visited by big names. Now, that I live in the USA, this could be my chance to finally see them live. Finally! We should all be on the lookout for the actual dates. Comment here if you learn anything! Cheers and happy Daft Punk Alive 2017 (hopefully)! I’ve actually only been to Minneapolis once (loved it!) when I was visiting my great aunt and uncle years ago when I was 15 or 16. Although, I did get a chance to visit the Mall of America, and do a tiny bit of sight seeing, my trip was short and focused on family. I’m excited to say though, that because of Shuflix’s magic, we’ve been able to uncover tons and tons and tons of resources for finding fun things to do in Minneapolis, including events, activities, places, restaurants, bars.. etc. 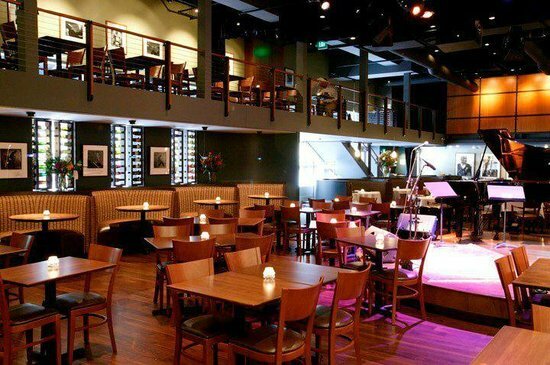 In this article, we are going to share with you tons of resources/ideas/things to do in Minneapolis and also share some additional events that Shuflix uncovered for this week! I encourage you to sign up for our newsletter here. We never send out spam, sell your email address nor anything like that. Shuflix is one of the ultimate databases for activities and things to do around the world, and we are growing–and you can help us grow by becoming one of our builders. Stay up to date by signing up to our newsletter. I promise, you won’t be annoyed 🙂 (//end of shameless plug). So these are websites that will help you find local things to do in Minneapolis. 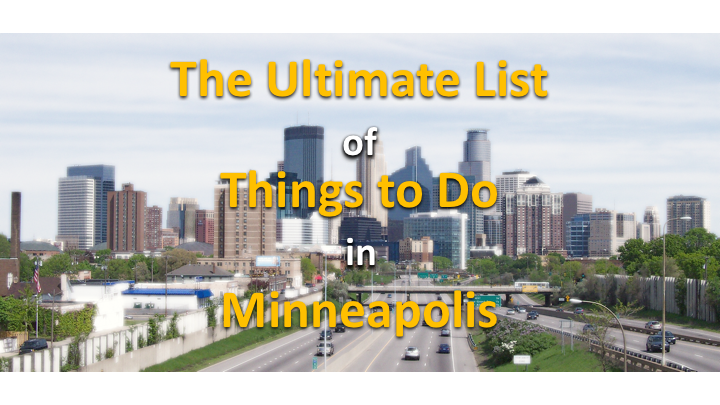 The list is in no particular order and showcases activities, things to do in Minneapolis and events. They are a daily digest for all things Twin Cities. You’ll find a curated list of events for the day and tons of cool info and articles. They’ve been around since 2008! This has to be one of the best. It has tons and tons of information from family-friendly events/things to do, to spots for nature and adventure, to educational activities and places… this has it all. I would use the other resources listed in this article as well to get a better sense of the communities. They also have a page with a calendar of events. Oh, and they have a list of 150 Fun Things to Do in Minneapolis. So, check it out! This is a great section of the site with tons of links to attractions in Minneapolis. The site was written by the author 365 Things To Do in Minneapolis — find her other books here. Did I mention that there is also a website that’s rooted under the same principle? That’s right… they have a comprehensive list of things to do in Minneapolis. I’ve hyperlinked their event calendar which is full of juicy items. If you follow them on facebook, you’ll be up to speed with them. Another great resource. I’ve hyperlinked their family calendar because it’s almost always to the brim with events and activities and fun things to do in Minneapolis / Twin Cities. The website is accessible, so be sure to navigate to their things to do, and outings ideas pages. They’ve got a nice little map with venues (bars, restaurants) and also have a ‘when are you going’ feature where you can mark on a calendar your availability. And, if you explore the site a little more, you’ll find additional info and resources! (happy hours/events for certain places and more). Inspired after stumbling into a neighborhood she had never heard of in Minneapolis, and intrigued when she found out that according to the City of Minneapolis, there are 81 official neighborhoods, Janelle Nivens decided, “right then and there” to tour every single one. What was an individual project became a mission. You can now get ‘virtual’ tours of the neighborhoods from her website and learn about tons of cool stuff. Okay, so although we do think these might be places you don’t want to visit (and they may not exactly be Minneapolis places), we do think that they could serve as great gettaways. I mean, roadsnacks.net in their article (These are the 10 most boring places in Minnesota) did call some of these places boring. However, when we hear “boring” we think invisible opportunity. Yeah, they may be boring because their population is low, and there may not be many young peeps (see roadsnacks article), we still wanna list them out–because you know–isolated places tend to be great gettaways. “Why?”—you ask me again. I’ll tell you: most of these places have parks, and recreational outdoors places where you can engage in archery, skiing, fishing, camping and more! You can do tons and tons of stuff from archery, skiing, fishing to camping! Learn more info here. List of recreation and parks. List of things to do. List of Trip Advisor’s things to do in Shorewood. Things having to do with biking in Minneapolis. It’s actually awesome. I wish every city had one of these. Minnesota Public Radio characterized this art+lit online magazine as “a breezy mix of short stories, poetry, reviews, and eye-popping graphics“. What’s great about them is that they also host events, every once in a while—so be sure to be on the lookout for those. Great info, tons of items. They used to operate from a blogspot blog, but now, they are packing a punch with their own website and many articles about the culture, music and film in Minneapolis. Although we are still growing our database, we still have tons and tons of events and activities for Minneapolis. If you are feeling spontaneous, using Shuflix for a day or night out with friends could be very fun 🙂 Our update will be rolling out soon, and when that happens, you won’t need to download an app to use Shuflix. That’s right! You’ll only need an internet connection. Deals can be fun too! All items below were found with Shuflix. Because Shuflix grabs so much info, I’m only going to show you 3 items for events and venues. Led by Leslie Parker with live percussion by Taji Maalik Hill! Join Parker on a dance experiment as she leads participants through a journey of memory, lineage and cross-cultural pollinating. Dance experience is preferred. All levels welcomed. Please wear comfortable clothing for rigorous movement. POC and allies are strongly recommended and encouraged to attend. This workshop is presented by Pangea's LSA! Open Ensemble series, opening company rehearsals and bringing performance skill-building trainings to the community. Kit Wilson has always been fascinated with nature. Variations in atmosphere, color and light found in the outdoors has long captured her imagination. In earlier paintings Wilson frequently aimed her focus on trees, broad views of the sky, and the undulating topography of open spaces, depicting them with nearly microscopic realism. In her most recent work, Wilson continues to hone her sharp observational skills as her gaze drops to take in the bodies of water she finds herself surrounded by on a daily basis. This class will be taught by Chef Ani. Whether you’re trying to slim yourself down or fatten your wallet, the siren song of takeout can be a formidable foe. It’s so convenient, yet often expensive and quite unhealthy. Save yourself some calories, waiting and money by learning to make some of the most popular take out dishes at home. In this class, we’ll learn the basic methods restaurants use to turn out the delicious stir fries, pizzas and curries that you’ve been ordering and adapt them for the home kitchen, and discuss the tips and tricks the market can offer to save time and money. Next time a craving strikes- you’ll be ready. This class has hands on opportunities as desired. Pre-registration is required. And that’s it! That’s the end of The Best Ultimate List of Things to Do (and Not Do) in Minneapolis (Version 1) ! Don’t forget that most of the resources I posted have newsletters, so if you are interested in signing on to them….do it! And don’t forget, we also have an email list. Joinnn usss!! Joinnn usss!! To become one of us you can submit your info here. 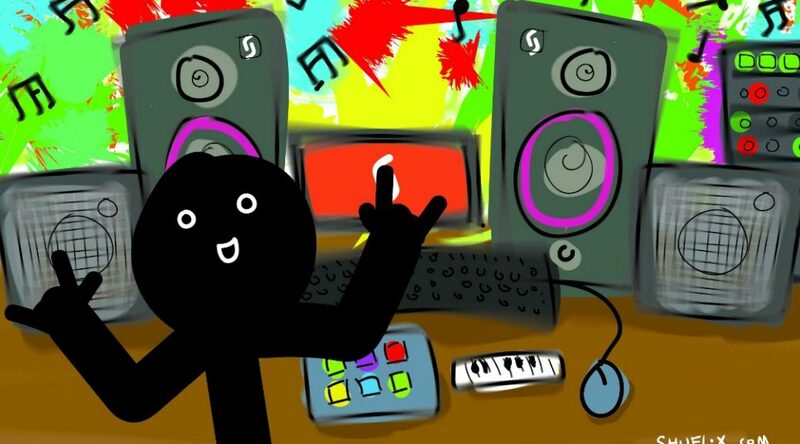 This is me and my studio. JK. This is me and my studio. This is what my studio actually looks like. Much more simplified huh? Trust me, it may not look like much, but the laptop alone can pack a powerful punch. Many of today’s famous pop artists have been able to pack that punch with this wonderful tool/box that keeps getting flatter and flatter. We’re talking about artists like Avicii and Martin Garrix with FL Studio or Opia and Goldwash with Ableton Live. So… beware of the laptop , and more importantly, who ever wields it. I am a firm believer in the magic born when music and video are put together. So, trying to pick the right feel for a visual stimulus is hard because what is right? I mean.. truly right? …Anyways, I started the jingle with two minor chords that progressed into a major chord. The reason for this was that resolving with a major sounds good but also gives this uplifting feeling of resolution and happy that we all love. I wanted to give that uplifting feel because the video itself is quick (it’s only 25 seconds!) and it’s exciting— I mean, with a single shake of the phone you can explore things to do from the thousands of activities near you! What’s not exciting about that? But, an upbeat rift is not enough to enhance the video’s excitement. I also need an upbeat beat! For percussion I put together some shakers panned all the way to the right, some bongos also panned to the right, a hi-hat rhythm panned to the left and a funky house beat with no pan. The panning widens the aural space and gives you the illusion that the sounds from the instruments are coming from different directions, almost as if you are right there listening LIVE ! The bassline was fun. At the very start of the jingle, we have a step-wise bass rhythm–commonly known as a walking bassline. Imagine each note ‘walking’ from one note to the next at each quarter note. Now this changes at the ‘mini drop’ to a funky less-on-point bassline. Now, imagine that each note is no longer walking from one to the next, but instead is dancing. Jk. This jingle shouldn’t make you dance. It’s meant to keep you staring at the video clip forever. Mwahahah. Jk again. I restrained myself from adding too much bass. So don’t worry, your head won’t ExPLodE. At most, it will nod aggressively (Remember this?). 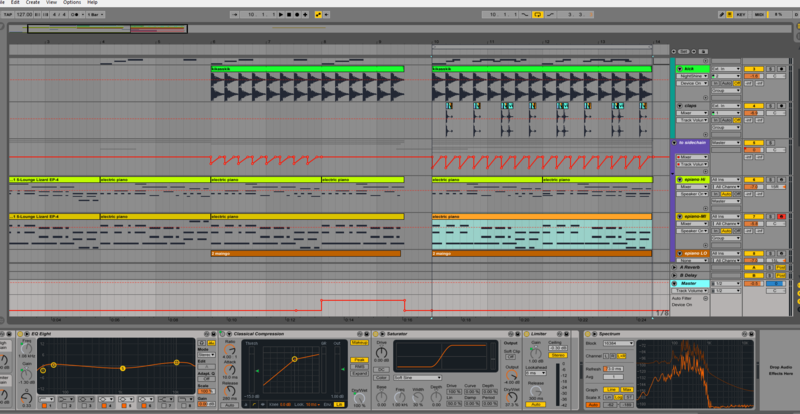 This is a pic of the layout and Master Chain. After the main stuff is set, I added some flourishes and started organizing the jingle. The flourishes were simple, not overly complicated. I added a little bell twinkle at the very beginning because it helps set a happy mood. I then added an underlying counter melody to the electric piano at a higher octave than the main rift. The counter melody shadows the chords of the main rift, but follows it’s own rhythm. I then added another electric piano, patched it up with some reverb, some compression and most importantly, overdrive. The overdrive gives it the girthy distortion you hear a little bit after the walking bassline first comes in. I added claps to act as snares. I added a beautiful flute sample whose frequencies were stretched to create the tiny anticipation you hear right before the ‘mini drop’. To soften the harshness of this stretch, I added some reverb. I added a tiny trumpet rift to accompany the latin/disco style rhythms. And as a little filler to provide an analog ambiance to the jingle, I added a vinyl scratch sample from Joedeshon available here. The last steps involved mixing and mastering the jingle. 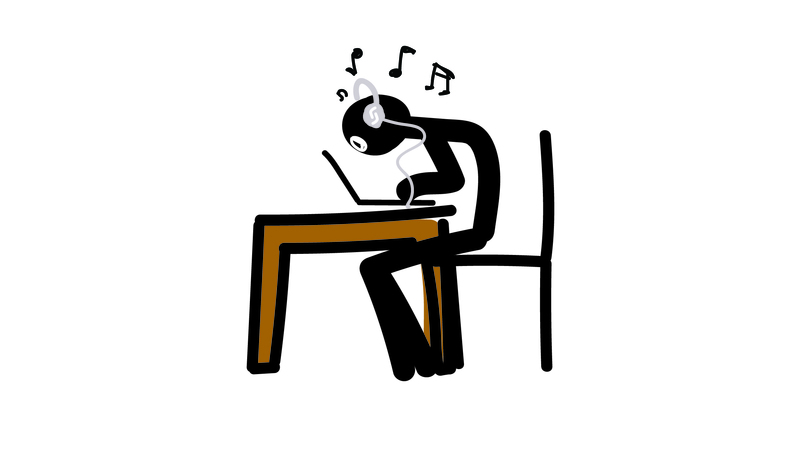 Ideally, you send the jingle to someone to mix it and then you send it to someone else to master it. At this point you’ve listened to the song so much, it’s hard to hear it as an external observer. However, this jingle isn’t about to hit the BBC’s Radio 1 Charts. It’s just a jingle. So, we can afford to slack off a bit. Heheh. For the master track, I added a chain composed of EQ8, a compressor, a saturator and a limiter. This was enough to boost and glue the different tracks together! Yay! (Oh, I also added a filter to create the effect right before the ‘mini drop’). Welcome to the Shuflix Blog! Check out the About page or go to https://shuflix.com to learn tons about Shuflix and us! 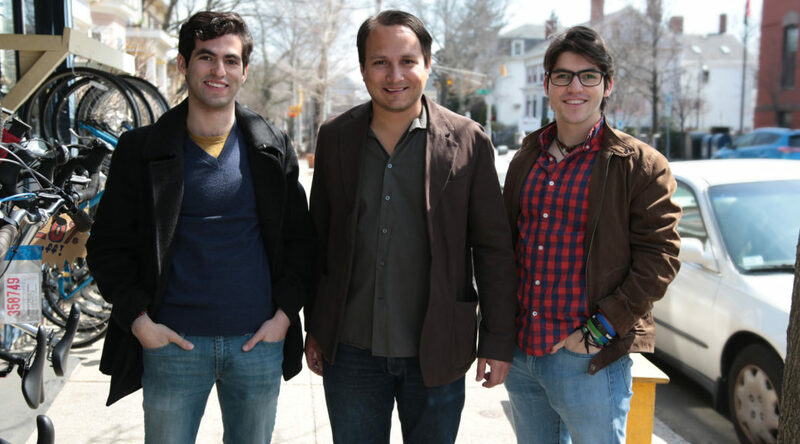 For your viewing pleasure a video, of us winning the People’s Choice Award at a startup competition at Princeton!